A raw rock n’ roll outbreak of ecstasy and intimacy, “What U” asserts Kelsy Karter as a genre-defying talent everyone deserves to hear. To get people’s attention, you have to make a lot of noise; to keep their attention, it has to be good noise. 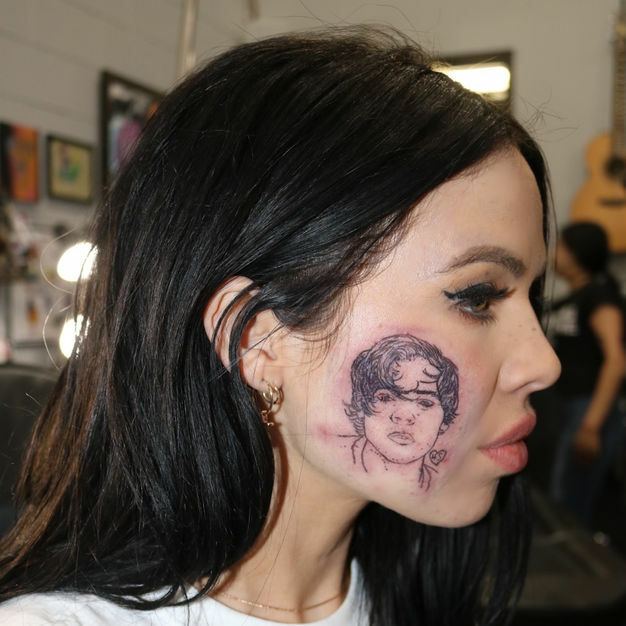 Kelsy Karter’s Harry Styles tattoo stunt worked, and now she has us right where she wants us: Waiting with bated breath for her next move. That anticipation breaks today with the roaring “What U,” Karter’s heated second single of 2019 (independently out now). A longtime Atwood Magazine artist-to-watch and recent editor’s pick, 24-year-old Kelsy Karter is a talent everyone deserves to hear. The New Zealand-born, Australia and Los Angeles-based artist made her “official” debut in 2017 with the intoxicating “Out of Drugs” and has spent the past two years carefully, cleverly building herself up and then out of every niche. Karter’s smoky, unparalleled vocals transcend genre, to the point where her balancing act between soul, pop, and rock feels natural and easy (when, in reality, she’s one of only a few acts willing to break down those walls). 2018’s moody, rainy-day anthem “Sad Sad Summer” caught our attention last July with its tasteful incorporation of the old and the new, and as the year came to a close Karter’s songs “God Knows I’ve Tried” and “Catch Me If You Can” painted her as a multifaceted creator who was ready and willing to show her every side while staying true to herself. The idea of a young twenty-something stamping her cheek with Harry Styles’ face found favor in the media, turning Kelsy Karter into an overnight sensation on both sides of the pond and leading to the kind of viral moment that could springboard her career to new heights. Add to this the fact that Karter just opened for The Struts on the last leg of their recent UK tour, and there’s no denying this is her moment. 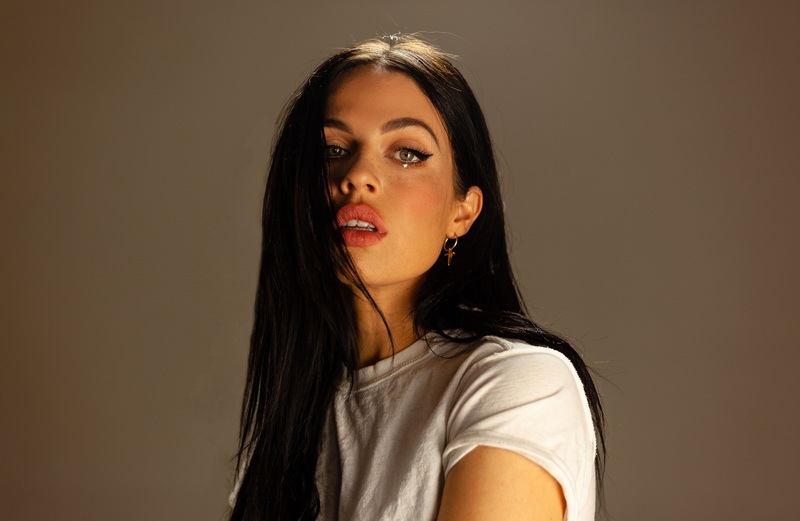 Regardless of her streaming numbers (now in the millions), Kelsy Karter is becoming a name people know – perhaps at first thanks to TMZ or the Daily Mail, but eventually on the merits of her own art and artistry. Written with Anthony Rossomando and Tony Esterly (the same team that co-wrote ‘Harry’), “What U” continues Karter’s recent foray into the fracas that is garage rock. Bombastic guitars and keys tear into a thrilling melody as Karter, hot on the mic, delivers a biting sermon to a would-be lover. “Said goodbye to my ex, are you gonna be next, what are you gonna do… If I open the door, are you gonna walk through?” she croons in a fierce chorus, not-so-subtly asserting herself as an active doer rather than a passive taker. You gotta do you and be the best version of yourself, no matter what. While on the surface it read likes a challenge, deeper down, “What U” is Karter’s personal empowered anthem buzzing with resolve and edgy, untethered confidence. It’s a song that says, “I’m here to stay, and I’m coming for you whether you like it or not.” She’s earned her accolades through a slew of soulful, raw, and passionate songs, but what’s most exciting about Kelsy Karter is that she’s only just getting started.